Wilcox Academy Art Show was held on Wednesday, April 6, 2016. GROUP PICTURE: On Wednesday, April 20th, six students from Wilcox Academy advanced to the Alabama Independent School Association (AISA) State Art Show: (top left to right – Ezekial Tamisin (2nd Grade), Ella Kate Smith (3rd Grade), Samantha Cook (3rd Grade), Mary Peyton Burford (Kindergarten), Jackson Biggs (Kindergarten), and Mary Forrest Bell (5th Grade). 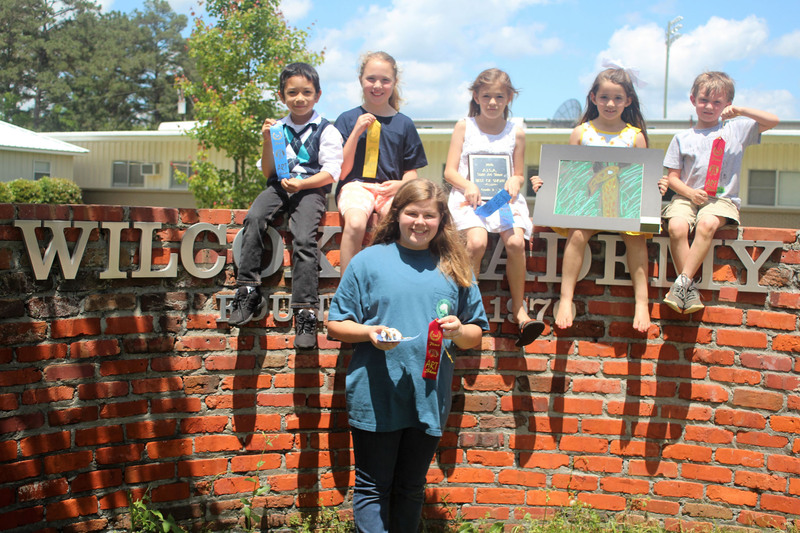 Each of these students had received a 1st place award at the AISA District III Art Show on Tuesday, April 12th which allowed them to advance to State. Approximately 68 schools competed at the local and district levels before advancing to the state competition. 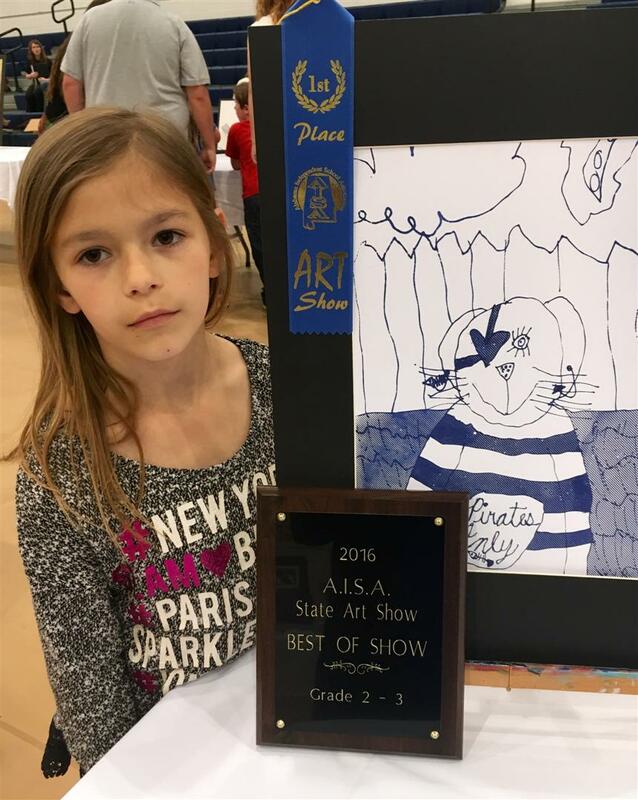 2015-2016 AISA State Art Show Winners from Wilcox Academy: Ezekial Tamisin – 1st Place Painting; Ella Kate Smith – 3rd Place Drawing/Color; Samantha Cook – 1st Place 3D/Crafts, 1st Place Printmaking, and Best of Show for Grades 2-3; Jackson Biggs – 2nd Place Printmaking; and Mary Forrest Bell – 2nd place in 3d/Crafts. To Learn more about the AISA Art Show Rules and Regulations, please CLICK HERE.